Nobody told me. Really, someone could have filled me in here. I had no idea that when I started to knit, I would become addicted. I just can not stop. I have so many things that I want to knit dancing around in my head, I had to make a list. I knit before bed, during the day, when I sit in the middle of a bubble, peanut butter sandwich and sidewalk chalk party, and yesterday I had it with me in the car, and I knit at the stop light. Okay, and while we were waiting in traffic (I know, I know, I won't do it again.) Do you want to hear my list? Beware though. If you do not knit, this may make you want get as many needles as possible, buy out the closest yarn store and get to work. First, my list of knits for others. Anna has been wearing her poncho almost everyday lately, and I must say I just love this pattern. It was so easy and quick, and so adorable! I have a baby shower coming up, and two nieces with birthday's this fall and winter. They will all be getting ponchos. I also just decided the other day that Anna, needs a pink one too. Then, there are the Christmas sweaters for the kids. I want to find a great roll neck sweater pattern. Nothing too heavy, maybe even something knit from the top down, in one piece. Does it exist? Let me know if you have seen a pattern like this. I am almost done with my Somewhat cowl. This is the second try. The first one had a few mistakes I could not live with. I am knitting this in cotton, and it is not very forgiving. Any tips on how to block 100% cotton? I have been reading up on it, but I have heard not to wet it, just steam it, then I read to wet block it...I am confused. Then I will be knitting this, in red. 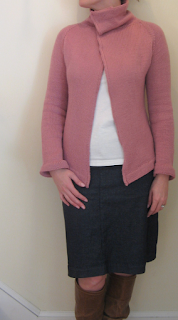 I am not sure if I want to use cotton, or merino wool, and extend the sleeves, so it is more of a jacket (opinions welcome). Then Juliet. I have had dreams about this sweater. Really. When I first saw this pattern I fell in love, then quickly told myself I could not get away with purple, and I must knit the longer version. Then I realized that I just love it in the cropped, purple version, so that is what I am going to make. And this bag, in a bright teal will be great for next winter, and look nice with a black coat I wear all the time. Hello, the pattern is free. Gotta love that. When I get all of that done, there is this. 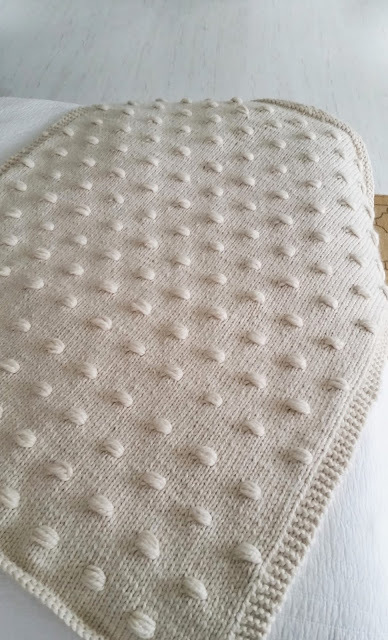 The mother of all knits. When I first saw the one that Steph made, I called my sister and said something like " Okay, can I come over so you can teach me how to knit, like right now?" After she taught me how to cast on, I bought the pattern. I am thinking dark gray. So, there you have it. Can you tell I am excited? Please tell me I am not the only one with a list! you're certainly not the only one with a list... mine's a mile long. that flicca jacket is gorgeous. to die for gorgeous. i may add it to my mile. My goodness, you are so ambitious! I can't wait to see it all. I adore Anna's poncho. I may have to pull my needles out for that...though it always means I have to make 2...but you said it was pretty easy...but easy for you means really hard for me. Sorry, thinking out loud. I have to admit that I have been known to take my projects with me to baseball practice. No one else does this sort of thing so I always look really ridiculous. Oh well. I'm smitten with that Juliet pattern! Unbelievably cute! I need to catch some of your knitting fever. Been awhile since I finished anything! 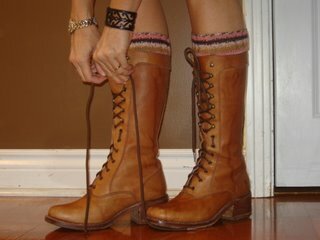 Have you seen ravelry.com? If not, you will really like it. You are definitely not the only one with a list - I think my list is in the two hundreds at this point. I like your choices for patterns as well - I can tell you're not intimidated by large projects - good for you! Wow & good luck! I love the energy that comes with having a list, but I don't like the shortage of time to actually dive right in! Dive away! 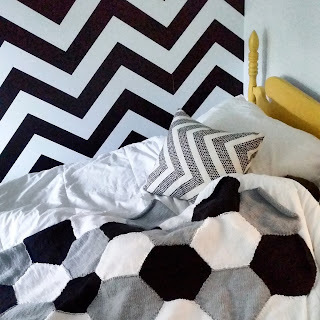 I have a feeling that if you saw my quilting list (along with the 25 that are still in my head) you would feel much much better. but how fun, no? I love all of the patterns on your list, they're just gorgeous!!! I too have a very, very long crochet and knitting list that I'm dying to conquer... Are you signed up for Raverly??? My list i keep floating around in my head, i am to afraid to write it all down, could be a little daunting! I only started knitting recently, and really love it, once you start it's hard to stop! Oh I definitly have a list, it isn't as specific, and it changes all of the time -but I think it will probably take my whole life to get through! hahaha - you are a speed demon though, finishing projects left and right! I think it is hilarious that you were knitting in traffic! I knit at stoplights too! It's amazing how it takes no time at all to acquire a yarn stash equal to a fabric stash. You are so not the only one, doll. When I first learned to knit, I brought my projects with me everywhere and knit under my desk at work while I was making calls. I knit in the car (not while driving though - rebel), on the train, on the couch, in the yard - everywhere I went had a knitting element to it. If I could have knit on the ski lift, I would have. I can't wait to see everything you knit up! I'm just getting back to knitting from a hiatus and am about to attempt my first legitimate sweater. What a great addiction to have. One that actually produces amazing stuff! Keep it up. Well, it's a beautiful addiction to have! :-) You do gorgeous work! I love the ponch. seriously. I am taking up knitting this fall. I am now convinced. You sound exactly like me! I just learned to knit in January and I'm either knitting, thinking of what I'm going to knit, looking through patterns on Ravelry, or going to the yarn shop to look at yarn and pattern books. You have accomplished way more than I have. I've only made a blanket, a scarf and I'm working on a tank top. It's so much fun, isn't it? yep. i have been an addict since i began. truly, i don't think that a day has gone by without knitting........just ask my family!